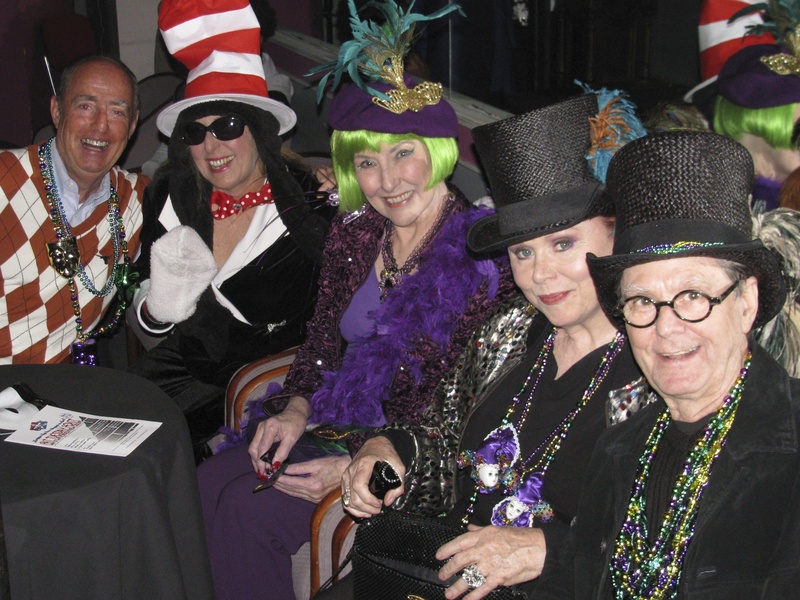 Some in the LSL audience came dressed in their Mardi Gras best! This entry was posted in Conroe Courier, Fat Tuesday, HERE HOUSTON-Lifestyle & Entertainment, HereHouston.com, Houston Community Newspapers online, Lone Star Lyric, Mardi Gras, New Orleans, Nightclubs, Ovations Nightclub, The Courier Columns, ThePeoplesCritic.com, YourHoustonNews.com and tagged Fat Tuesday, Houston, Lone Star Lyric, Mardi Gras, music, nightclubs. Bookmark the permalink.